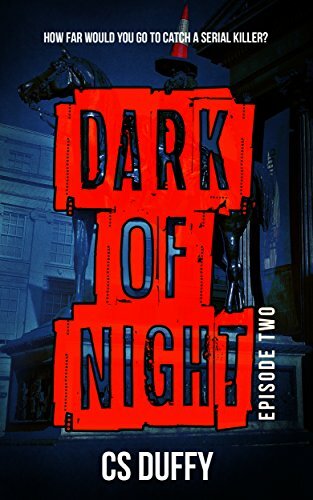 Well, this was only going to be a review of Episode One of Dark of Night until I reached the end and absolutely HAD to read Episode Two straight afterwards! I found both books to be totally gripping and raced my way through them over a long weekend. They are both relatively short but my goodness what a lot is packed into them! Be warned to make sure you have plenty of time when you begin to read, as you won’t want to put the books down. Ruari has decided that tonight is the night he will confess to his friend Lorna that his feelings go beyond friendship and that he loves her. However, when he arrives at her house, he finds a police guard outside. Lorna’s body has been found in the Campsie Hills. Reeling from her death, Ruari decides to try to find out what has happened to her. He is convinced that hot shot lawyer Alec McAvoy who he saw her with not long before she disappeared is responsible. He’s not the only one who thinks Alec is involved. Detective Cara Boyle is investigating the case and before long has more bodies to contend with. It seems a serial killer is on the loose in Glasgow. Both books in the Dark of Night series are completely addictive. They are very fast paced with the short punchy time-stamped chapters adding to the sense of a fast-moving investigation. They are really exciting books to read and as the points of view move from one character to another, there are lots of twists and turns and mini cliff-hangers. They are books which kept me guessing right up to the end. For all they are about a serial killer, there is a lot of humour in them too and a real sense of warmth towards Glasgow and its people. CS Duffy has created brilliant and very likeable characters in Ruari and Cara who both feel very authentic in their thoughts and actions. I think that CS Duffy is a fresh new voice to watch out for in Scottish crime fiction and deserves lots of recognition for this series. With both books ending on the kind of cliffhangers that had me saying (okay, screaming!) “No, you can’t leave it there!”, I can’t wait to read Episode Three to find out what happens next! Just when Ruari musters the courage to confess his love for best friend Lorna, she goes missing. When Lorna’s body is found in the Campsies, Ruari sets out to retrace her last steps in the hopes of finding her killer – but somebody has beaten him to it. Now the hunt is on for a serial killer terrorising Glasgow. As Ruari is drawn ever deeper into a labyrinth of darkness, somebody is watching his every move. Will he catch the killer – before the killer catches him? As the hunt for the serial killer terrorising Glasgow intensifies, a woman with a dark past believes she has him in her crosshairs. But does she have the right man? 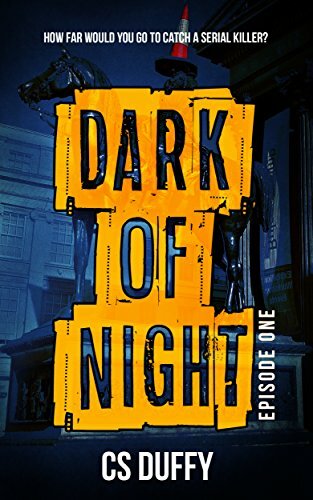 Dark of Night is a fast-paced, twisty serial killer thriller set in Glasgow, turbo-charged with Scandi-esque noir and black humour. Just like in your profile pic!